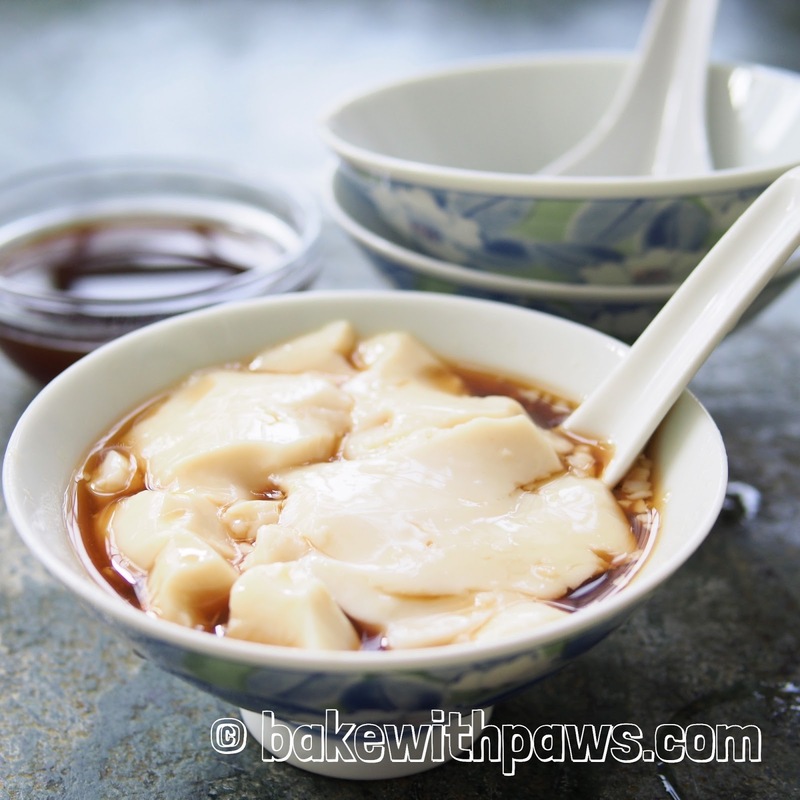 Tau Foo Fah is one of my favourite desserts. But, I haven't tried to make it earlier because the traditional recipe requires gypsum powder. Recently, a lot of people have been sharing recipes that use gelatine instead. I wanted to try it and I found the texture very close to the smooth tau foo fah that is store bought but I think this version is healthier. I don't feel any worry eating it now. In a pot, heat up soy milk over medium low heat. When about to start bubble, turn off the heat. 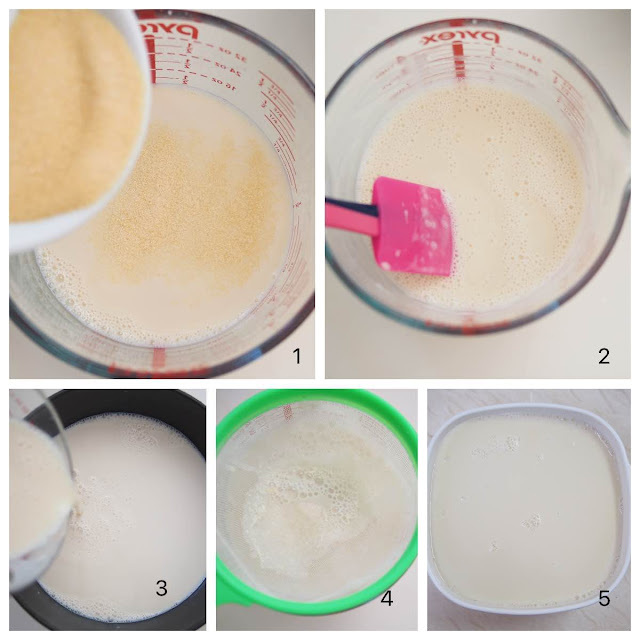 Transfer 300ml of soy milk to glass jar, add in gelatin and stir well with hand whisk or spatula. Pour the mixture into the rest of soy milk and mix well. Strain the mixture and transfer to a big glass or ceramic container. Cover and refrigerate for 6 hours before serving. It is best after overnight as the pudding become more firm. 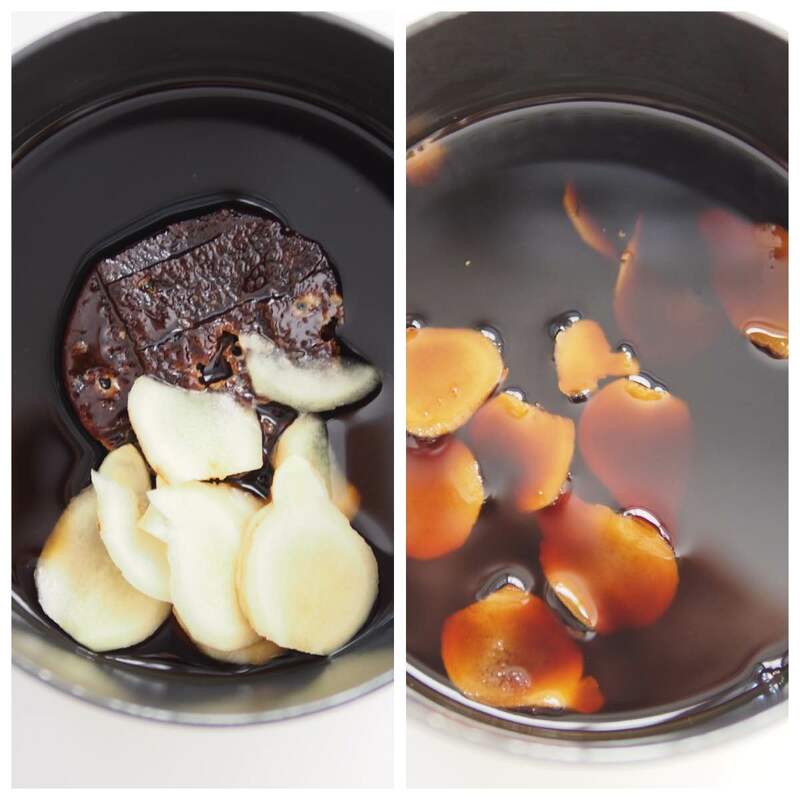 Serve cold with the ginger syrup. In a sauce pan, add in gula melaka, water and ginger slices. Bring to boil at medium heat. Reduce to low heat and simmer for few minutes.